Marketing Automation is one of the most powerful tools a business can use to increase sales and improve your conversion rate. Setting up an automated process can also save you a huge amount of time and can including everything from maximising Customer Lifetime Value, database nurture, customer lead nurture to cart abandonment programs and personalised product recommendation. What does a CLV Sales Funnel look like? This is what is known as a sales funnel or a customer nurture funnel. Seems like a lot of work to do for just a single customer, right? Well, with a little help from CRM technology such as ActiveCampaign, Hubspot, Infusionsoft, Ontraport or even Mailchimp, you can actually automate the whole process and more often than not provide better and more personalised customer service than you could with a whole sales team of people. 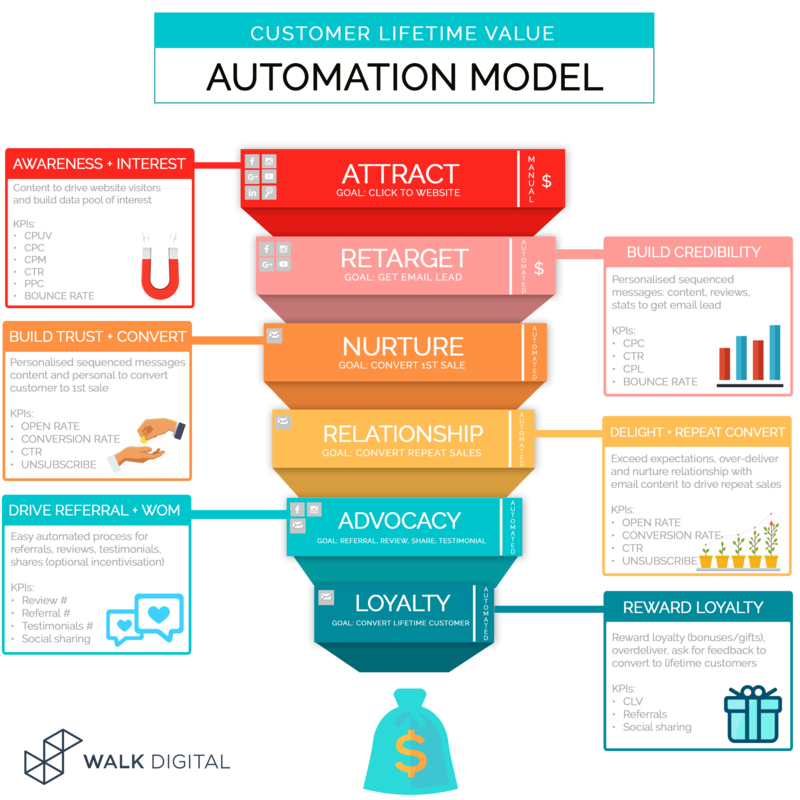 Building an automated customer lifetime value funnel is one of the very first things you should do before spending any money on advertising. Without this process in place to drive upsells, repeat purchases and referrals, for each dollar you are spending on advertising, you are leaving money on the table. There are many agencies out there that charge well over $20,000 for full marketing automation sales funnel design and builds, using complicated CRMs that require experts to run them. But for the majority of businesses, all the bells and whistles are just overkill. We work hard to make sure our customers receive a valuable tool that helps drive additional sales. Packages start from just $900. Most people running a business know that they need a website. It is generally accepted that websites are a must-have tool. 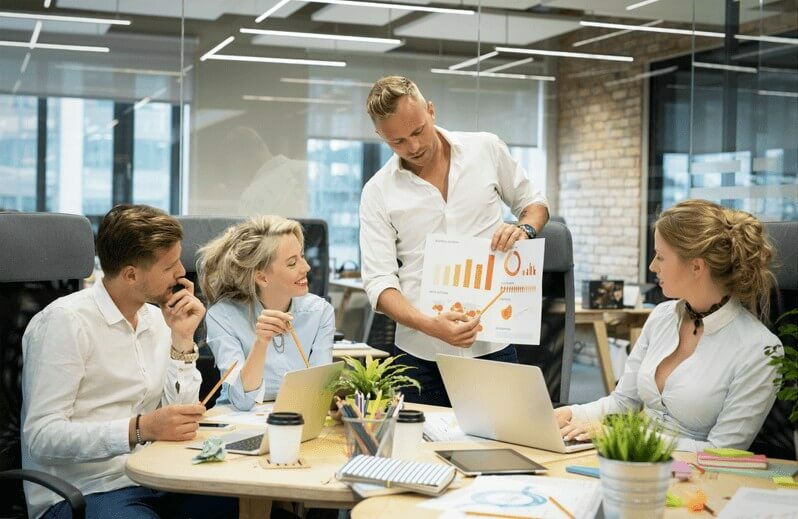 Setting up marketing automation in the form of building a customer lifetime value automation tool customised to your business is just as important. That is if you want to achieve maximum return on investment (ROI) that not only ensures you achieve a sustainable profit margin but also drives increased revenue and profit growth year on year. Most companies that sell products or services through their websites focus most of their marketing budget on trying to get new customers to purchase their products. But after you account for the money and time you spend on your digital advertising to attract these new customers, your profit margin is never going to be the best for that first purchase. 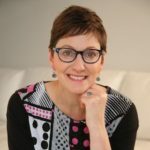 Once you have scored that first sale, you need an easy process to needs to be on nurturing them into loyal lifetime customers and encourage them to refer their friends and family to you… All without spending another cent on advertising. We can measure the value this brings known as Customer Lifetime Value or CLV.